I occasionally try to explain what I do for a living to people with varying degrees of success - so now I'd like to show you. 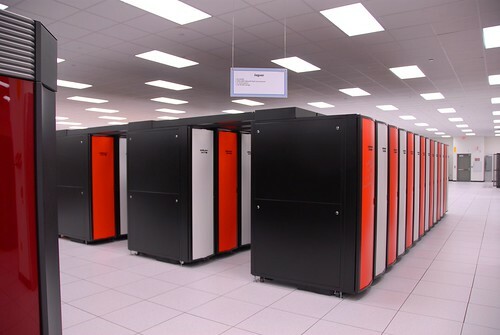 It is the 10th most powerful supercomputer in the world and the most powerful open use machine (in other words if you have a good enough reason to use it, you can.) It is an XT3 built by Cray. To give you an idea how fast it is, it last scored 43480 on the linpack benchmark. The laptop I'm writing this on would score about 1. Jaguar and machines like it need storage - lots of it, and it has to be fast. I work on Lustre, which is a piece of software designed from the ground up as a scalable filesystem for Jaguar and machines like it. 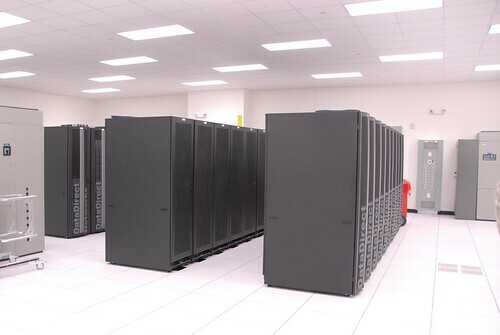 The two racks in the foreground contain just over a petabyte of storage - that's enough to hold the text from about a billion encyclopedias. These are the disks and controllers for Jaguar. 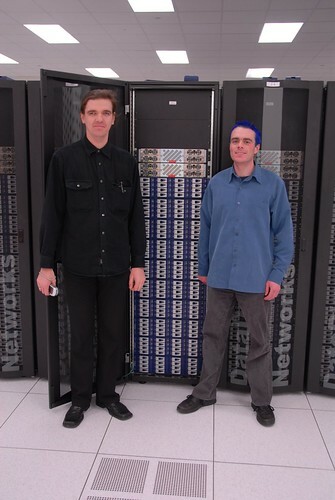 They were supplied by DDN, a partner of both Cray and my employer, and are extremely fast. Our software brings all of this together into a useful filesystem that applications can use like any other filesystem (e.g. ext3, ntfs, vfat.) Well, like those, but faster. That's so awesome! Better than being a spy even.